thought influx: Medieval Misconceptions: Did Pope John XXI Really Ban Gravity? When people learn that the Medieval period is my favourite period in history I can usually tell what they’re thinking without them even saying it. Why would anybody want to study a period that was so intellectually and culturally stagnant? Unfortunately the popular image of the Middle Ages is often filled with misconceptions (which is actually what makes it so interesting to study). This post is the first in an irregular series in which I will examine popular misconceptions about the Middle Ages and try to shed light on reality. The Myth: Pope John XXI (1215-1277) condemned the laws of physics as heresy. Popularised by: Stephen Hawking in his documentary, Curiosity: Did God Create the Universe? Much of the documentary’s first half goes to great pains to emphasise the superiority of science over religion and superstition. This story serves as a cautionary tale of what happens when you allow “superstition” to govern your life instead of embracing science. That silly pope! It’s also largely a distortion of the actual story. For starters Pope John XXI (sometimes referred to as Peter of Spain) was by no means an anti-intellectual dunce. He was educated at the University of Paris and became a physician to Pope Gregory X. His areas of interest included theology, logic, physics, and metaphysics. He also made a notable contribution to the curriculum of various universities. Any student wishing to study for a bachelors degree was required to study the trivium – grammar, logic, and rhetoric. During his academic career John XXI authored the textbook Summulae Logicales, an introductory guide to Aristotelian thought which would become the standard logic text for close to 300 years. When Pope John XXI took papacy he had an apartment added onto his palace where he could go to study medicine and philosophy in peace when he wished to. It was in this apartment that he was studying when the roof collapsed in 1277, resulting to injuries which lead to his death. But the crux of this myth is that Pope John XXI was so threatened by the laws of nature that he banned them. This assertion is referring to an event known as the Condemnation of 1277. Before we delve into what this was exactly, it is important to understand the intellectual climate it took place in. Science in its present form didn’t exist in the Middle Ages. Instead the field of natural philosophy sought to understand the natural world in accordance with the wisdom of the Greek philosophers. 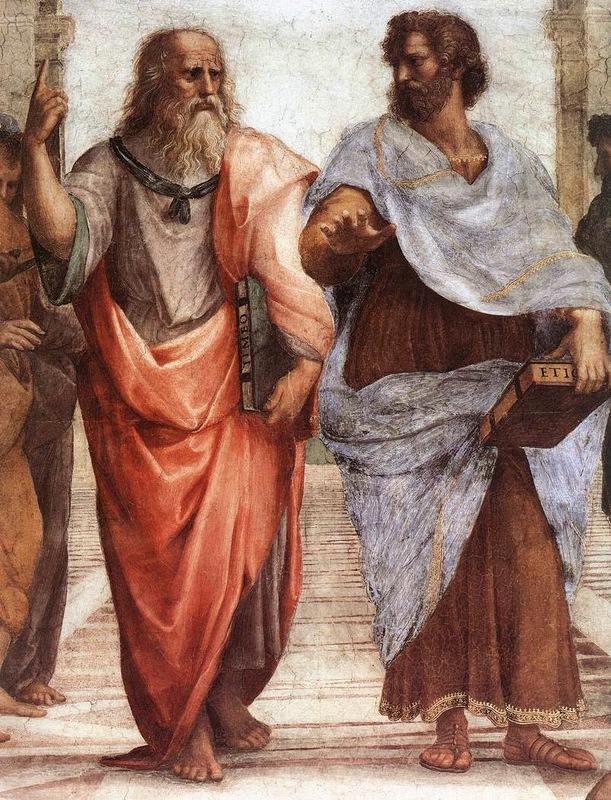 The Greek philosopher par excellence in natural philosophy was Aristotle. By the mid-thirteenth century Aristotle’s Physics was a central text in most European universities. Any understanding of nature had to be seen within the context of Aristotle’s writings. Within the University of Paris there existed a faction known as the Averroists lead by Siger of Brabant. The Averroists were causing quite a stir within the university with their assertion that philosophy was the supreme knowledge and used this as a basis to challenge Church doctrine. The famous philosopher Thomas Aquinas had previously tried to reach a middle ground with his vast array of writings aimed at reconciling Aristotelian thought with scripture. But just to be certain the faculty ruled that new entrants would pledge not to meddle in areas of theology. This was an attempt to prevent amateurs from speaking with authority in areas they had none in (other learned professions were taking similar steps to prevent this problem). But the current Averroists were exempt from taking this pledge and were still causing a problem. So Pope John XXI wrote to the bishop of Paris requesting that he do something about it. The bishop of Paris compiled a list of 219 propositions he found objectionable about Averroist and Aristotelian thought and these were condemned as heresy. These 219 propositions could no longer be taught or held within the University of Paris. The crux of the issue was the question of whether God could be constrained by natural laws. The theologians concluded that God was above natural laws. This meant that you could not claim that God couldn’t theoretically make several universes or move the universe in a straight line. In short, philosophers couldn’t use philosophy to restrict God’s power. But the modern question is whether this was beneficial or restrictive to intellectual progress (in particular “science”). Well it’s important to realise that Aristotle was wrong on a great deal of things. Let’s take the force of gravity for example (partly because it’s relevant to the story). Aristotle believed that there were essentially two types of motion: natural and violent. Natural motions were motions involved in objects taking their “rightful place.” Rocks are heavy and thus want to be low, water is lighter and is happy with the middle ground, and fire is the lightest resulting in it wanting to be higher. A violent motion is any motion that goes against a natural motion (e.g. throwing a rock straight up). These two forces cannot co-exist in unison. Now although this quite different from our modern understanding of gravity it still worked as an observational theory. Until the invention of the trebuchet. In his book God’s Philosophers, historian James Hannam has a rather interesting discourse on how this medieval catapult challenged conventional thinking about physics. Trebuchets are essentially giant levers with a counter-weight at one end and a sling at the other. The counter-weight drops, swinging the sling’s contents into the air towards the target. Aristotelian thought said that because natural and violent actions cannot coexist the projectile should travel in a straight line until it stops, as opposed to in an arc as modern physics would say. The point is that Aristotle was quite wrong on a concept that is considered quite fundamental today. The Condemnations of 1277 had the benefit of freeing natural philosophers from Aristotelian constraints and meant that they could dream up all manner of theories about the natural world. This freedom would have a tremendous effect on medieval scholarship and would prove to set the foundations of modern science. Of course philosophers could speak on matters of theology as long as they themselves held a degree in theology. James Hannam, God's Philosophers: How the Medieval World Laid the Foundations of Modern Science (n.p. : Icon Books Ltd, 2009), 139.